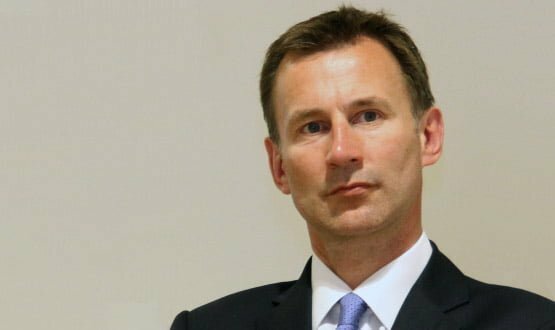 The Health and Social Care Secretary Jeremy Hunt has promised a £75 million investment from the government to help NHS hospitals implement e-prescribing systems. Hunt’s announcement on the Victoria Derbyshire programme today (23 February) followed the publication of a study carried out by the Universities of York, Manchester and Sheffield which revealed that an estimated 237 million medication errors occur in the NHS in England every year. His announcement follows a review commissioned by Department of Health and Social Care that looked into medication errors in England. The review, which was carried out by the Short Life Working Group and published today, recommended that the roll-out and optimisation of hospital e-prescribing and medicines administration systems needs to be “accelerated”. Figures from November 2017 revealed that just over a third (35%) of acute NHS trusts had rolled out systems where greater than 80% of inpatients prescriptions are written digitally. For mental health organisations, the number drops to less than 12%. The review adds that it is hoped the Global Digital Exemplar (GDE) programme will provide “additional blueprints to support implementation” of e-prescribing systems and resolve “current technical challenges” facing trusts. As reported by Digital Health News in September 2017, Plymouth Hospitals NHS Trust is due to become the first NHS trust to begin implementation of an open source, open standards-based electronic prescribing system. The organisation plans to start using the soltuion – the first of its kind – from June this year. Towards the end of 2017, NHS Digital announced it would be piloting the use of the Electronic Prescription Service (EPS) in selected integrated urgent care settings across London. System C (British company) has an EPMA module integrated with it’s Medway PAS. Live across the Bristol Heart Institute at UH Bristol with full roll out soon. It is available via the patient home page. They are using APIs to surface clinical info in a new clinical workspace giving clinicians access to content in context. A real win when EPMA is established in the provider sector would be to streamline medicines reconciliation on admission and discharge via shared care records. This will save time and improve safety. Does anyone have a single electronic drug chart across primary and secondary care? Orion Health Medicines. A purpose built medication reconciliation platform based on open FHIR APIs. Essentially an integrated, continually updated “single electronic drug chart” shared across primary and secondary care. Live in Glasgow. e-scripts are a positive move and would be even better if the whole NHS system was digitised, then a single data management platform could connect patients, doctors and 3rd party clinicians with pharma, and then implement an NFC contactless infrastructure to link it all up directly with the individual patient. Another consideration is making the inserts accessible in audio format for those who have a visual impairment or require the information in a specific language. Any others being used live in the UK market? Are you advocating stand alone or interfaced software? Surely whatever the philosophy its imperative that it is provides additional safety to the problem of prescription drug errors. I believe one of the software suppliers above have an outstanding bug for producing this type of error logged against their system. You missed System C (integrated) mentioned in the first post by Chris Bourdeaux. A key component of the UHBristol GDE. You also missed the excellent open source openEP. This is based on software running very successfully in Slovenia that has been localised for UK use. it’s currently being implemented in plymouth with other trusts expected to sign soon. it runs on openEHR so provides a great way to start for those who want to move to an open platform. I agree that openEP is a very interesting development and I will be following the progress with genuine interest. The fact that it only runs on top of an openEHR clinical database structure is also a welcome development but I feel it might resrict it’s attraction to other NHS Trusts. ‘marketable’ to other NHS Trusts. CGI are the implementation, integration and support partner for Marand in the UK and are delivering the Plymouth project as we speak. I am happy to discuss if anyone needs further detail. Jeremy Hunt saying there will be money available for an IT procurement – I’m sure we’ve heard this before. You’ve more chance of 30 degree weather in Newcastle this weekend than that money materialising! Yes. I forgot to mention Epic (integrated) and McKesson (integrated). Throughout my NHS career I have always had to use best of breed systems that were poorly integrated. My personal choice would be a fully integrated system with ‘acceptable/reasonable’ ePMA functionality. If you have to enter a patient’s allergy status into more than one best of breed ‘module’ then you are duplicating clinical data entry and may be putting the patient at risk. Agreed, it must be harder to do clinical decision support if you do not have an integrated system. I wonder how the money will be distributed ? through the STPs? If hospitals have ePrescribing across the wards will they be helped with outpatients? Will we all be helped to become DM+D compliant, which would seriously help the primary-secondary integration interface to improve. I suspect that interface is the area of biggest risk. One more (British supplier) is TPP SystmOne (integrated) who have their first inpatient ePMA system in use at Airedale hospital. It’s always been a bit of a mystery to me why British health software companies haven’t developed fully integrated hospital EMR products whereas they seem to be the norm in the USA. @AndrewG – easy. The UK health system is a cost. In the USA the health system is profits for insurance companies. If you’re trying to sell a product to which are you going to find it easier to do? You can’t sell to someone who has no money… unless you are selling credit of course which is another story. This is why some of the systems in the UK have clinical bugs because the companies do not have the best developers available. Another supplier… EMIS Health has an ePMA product, which is live in several organisations. Interesting that there’s been no follow up regarding this ‘promise’ of £75m funding… is this new money, or the usual re-distribution of funds already declared. WIll it be another match-funding exercise? Who will distribute funds? Etc. etc. etc…..
That is an unfortunate reality. Having a patients Med’s in 1 system and clinical documentation in another for example, makes the job harder for the clinician. The clinician needs everything in view to make an informed decision. Interfaces can’t do that, API’s could, but i’m yet to see that. A lot of data is used to make informed decisions at the point of prescribing, more than should be sent via an interface. Let’s not forget, its likely cheaper to have all under an EMR, rather than multiple other systems. 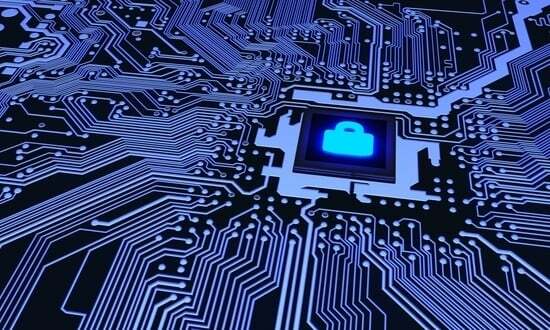 NHS Digital has revised the potential value of its Security Operations Centre contract by £10m, following an increased budget for cyber security in 2017/2018.